Spoiler alert! After the news section of this podcast, which IS TV ONLY FRIENDLY, the podcast discusses a tandem read of George RR Martin’s A Feast For Crows and A Dance With Dragons. If you are not reading along with the podcast then this podcast will spoil events that may or may not happen in the television show. After the news, proceed at your own risk. Otherwise Matt is joined by Mike (@fifthcolumnfilm) of the Captain Punishment Adventure Hour, ASOIAF fan Susan (@blackeyedlily) and Bubba (@FittenTrim) from the Joffrey of Podcasts to discuss all from ADWD The Dragon Tamer (00:50:57), Jon XIII (01:08:57), The Queen’s Hand (01:55:17), Daenerys X (02:07:20), and the Epilogue (02:23:58). In the polls below vote for you you think would win in Harrel’s ASOIAF Westeros Death Match. Rules when voting: who wins in a fight to the death between the two combatants. Assume that everyone is healthy and alive, and that it is a fair fight with equal weapons and armor, no outside interference, and magic is not a factor. Spoiler alert! While the news section of this podcast is spoiler free for TV only and book reader listeners alike, the discussion of the books that follows is TV spoilerific! Also this week, even in the book section, the discussion of EW articles has possible spoilers even for book readers, so if even “BRs” want some surprises for Season 5 you may wish to avoid the discussion between the 00:37:37 minute mark and 00:50:36. You’ve been warned!!! In this week’s book discussion Matt is joined by ASOIAF fan Susan (@blackeyedlily), Mike (@fifthcolumnfilm) from the Captain Punishment Adventure Hour, and Bubba (@FittenTrim) from the Joffrey of Podcasts to discuss from ADWD Victarian (00:52:13), The Ugly Little Girl (01:07:48), Cersei XII (01:30:34), Tyrion XII (01:53:07), and The Kingbreaker (02:06:23). In this episode Matt is joined by Mike (@fifthcolumnfilm) of the Captain Punishment Adventure Hour, ASOIAF fan Susan (@blackeyedlily) and Bubba (@FittenTrim) from the Joffrey of Podcasts to discuss from ADWD Jon XII(00:41:24), The Discarded Knight (01:04:36), The Spurned Suitor (01:18:25), The Griffin Reborn (01:31:09), and The Sacrifice (01:51:32). This weekend edition of Podcast Winterfell comes with a spoiler alert. 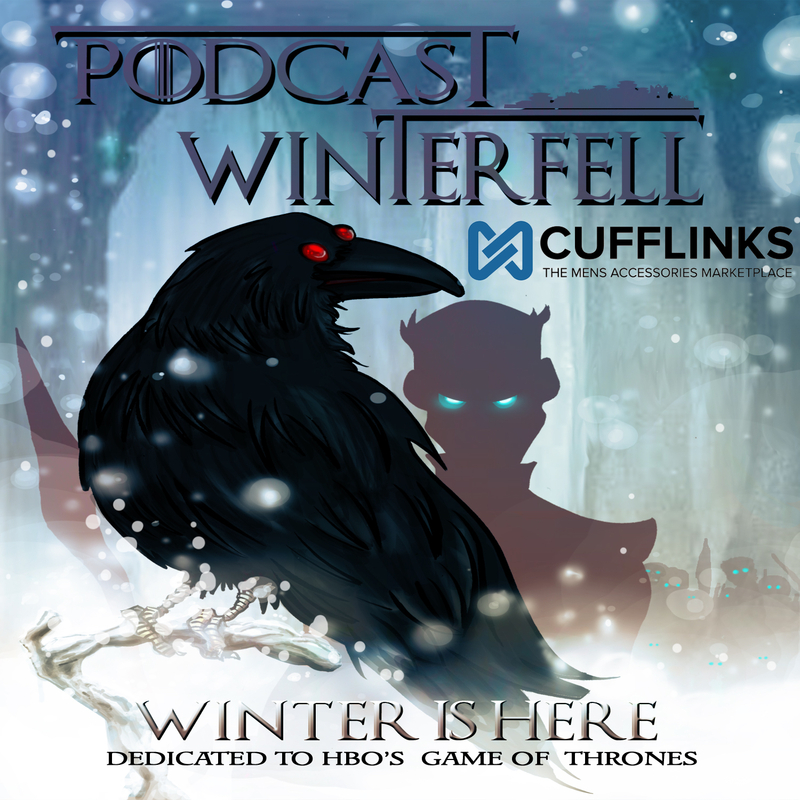 Discussions include events in the most recently aired episode of Game of Thrones on HBO (S4E10), so catch up with the show and then give this a listen! Matt is joined by The Film List’s Heath Snow (@HeathActor) and Axel Foley (@WAxelFoley) to talk about the recently release S4 box sets (Blu Ray & DVD), and other Game of Thrones topics! Otherwise Matt is joined by Mike (@fifthcolumnfilm) of the Captain Punishment Adventure Hour, and Bubba (@FittenTrim) from the Joffrey of Podcasts to discuss from ADWD Jon XI (00:34:00), Cersei XI (00:47:10), The Queensguard (01:07:06), The Iron Suitor (01:25:37),and Tyrion XI (01:36:54). The full BR e-mail from John in Amsterdam is posted at podcastwinterfell.com as well just under this entry. We received an e-mail that in order to get my panelists out the door in a timely manner could not be completely read. Therefore, after the break, the full content of the e-mail is disclosed. This is a book reader (BR) e-mail so TV only people (NBRs) will want to avoid it!